On Saturday 20th April 2019 the sun will rise at 06:01 and will set at 20:24. It will be a mild day, with temperatures reaching around 18.1°C. Today is expected to be a dry day, with a very low chance of rain. There will be a gentle breeze in the air today, with a maximum expected wind speed of 17mph. On Sunday 21st April 2019 the sun will rise at 05:59 and will set at 20:26. It will be a mild day, with temperatures reaching around 18.5°C. Today is expected to be a dry day, with a very low chance of rain. There will be a gentle breeze in the air today, with a maximum expected wind speed of 15mph. On Monday 22nd April 2019 the sun will rise at 05:56 and will set at 20:28. It will be a mild day, with temperatures reaching around 20.4°C. Today is expected to be a dry day, with a very low chance of rain. It will be quite a breezy day, with a maximum expected wind speed of 33mph. On Tuesday 23rd April 2019 the sun will rise at 05:54 and will set at 20:30. It will be a mild day, with temperatures reaching around 18.1°C. Today is expected to be a dry day, with a very low chance of rain. It will be quite a breezy day, with a maximum expected wind speed of 28mph. On Wednesday 24th April 2019 the sun will rise at 05:52 and will set at 20:32. It will be a mild day, with temperatures reaching around 13.9°C. A light shower is possible, 1mm of rainfall is possible today. It will be quite a breezy day, with a maximum expected wind speed of 27mph. On Thursday 25th April 2019 the sun will rise at 05:50 and will set at 20:34. It will be a mild day, with temperatures reaching around 11.5°C. A light shower is possible, 2mm of rainfall is possible today. It could be quite a gusty day today, with a maximum expected wind speed of 38mph. On Friday 26th April 2019 the sun will rise at 05:47 and will set at 20:35. It will be a mild day, with temperatures reaching around 7.4°C. Today is expected to be a dry day, with a very low chance of rain. There could be quite a strong breeze in the air today, with a maximum expected wind speed of 29mph. 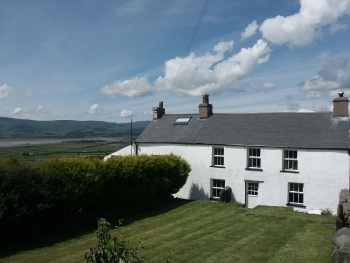 A 17th century former yeoman farmers farmhouse, Sunset Cottage is set in an elevated position with stunning views overlooking the Duddon Estuary and mountains. Nestled on the edge of the Lake District National Park it is situated in the village of Kirkby-in-Furness, at the gateway to the Western Lake District. The cottage has original features such as oak beams and panelling and a flagged floor in the kitchen. The kitchen is fully fitted in oak and beech and is fully equipped. There is a large enclosed south facing garden. Pets are welcome by arrangement.